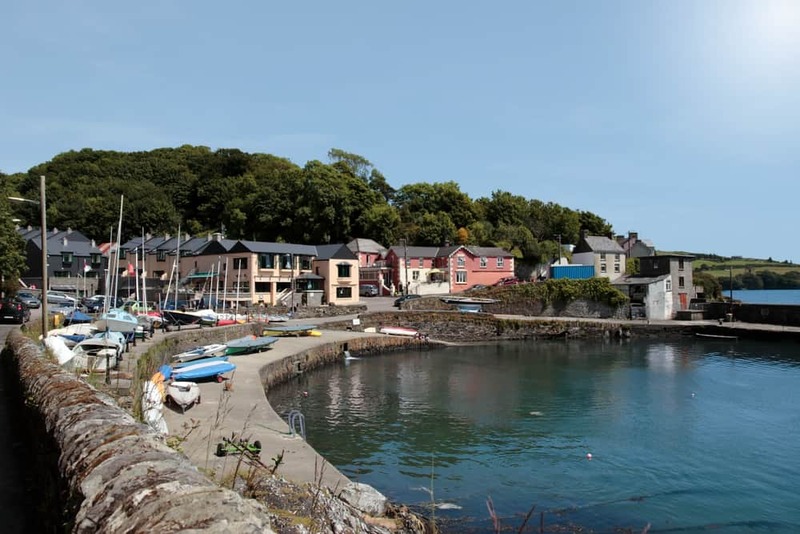 The sailing village of Glandore is only a ten minute drive from Rosscarbery and sits opposite the fishing village of Union Hall. Union Hall, along with Rosscarbery, was the setting for the film ‘War of the Buttons’. It’s a working fishing port and village and much of the fresh fish you will be served across West Cork will have been landed here. Drive across the wonderful ‘one lane’ bridge of the estuary to access the village from the Glandore side.